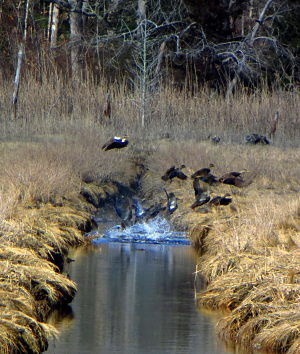 A friendly reminder to walkers and other explorers enjoying the nature trails of Wareham: hunting seasons are varied and many begin this month. Please always remember to wear fluorescent orange when you are in the woods. And don’t forget to protect the dogs when they’re with you! Keep them safe with orange vests as well.